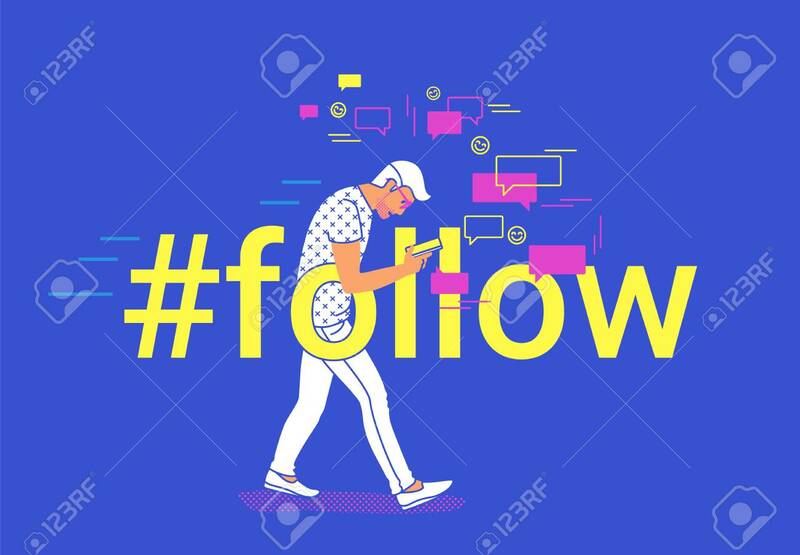 Hashtag Follow Concept Flat Vector Illustration Of Young Man Going And Texting Messages In Mobile Messenger App. People Addicted To Smart Phone And Social Media Apps Posting Images And Video Hashtags Lizenzfrei Nutzbare Vektorgrafiken, Clip Arts, Illustrationen. Image 116513372.